I’ve fallen in love with the 4” x 4” x 1.5” Ampersand Artist Panel Primed Smooth cradled panels. They’re an easy size to work with, and because of their depth, they have such a nice, assertive look to them! Today’s project begins with another of my favorites, Stampstracts rubber stamps by Kae Pea for RubberMoon Art Stamps. The stamps are abstract, except for the moon-like face that has simple lines indicating the placement of eyes, nose, and mouth. As you’ll see, that’s where the fun begins…Each of the three faces is different because of the added pen doodling. A few weeks ago, we announced the new sizes, 6″ x 8″, in our Museum Series panels, packed in 3’s. They are a fun new addition to our product line and will be immensely helpful to those who travel with panels or who work plein air. We are also carrying new profiles, 7/8″ and 1.5″ cradles for Aquabord™ and Hardbord™! And larger sizes for Encausticbord™ and Hardbord 2″ cradled panels, including 10″ x 10″, 16″ x 16″, 30″ x 30″ and 36″ x 36″ square plus 24″ x 36″, 30″x 40″ and 36″ x 48″. 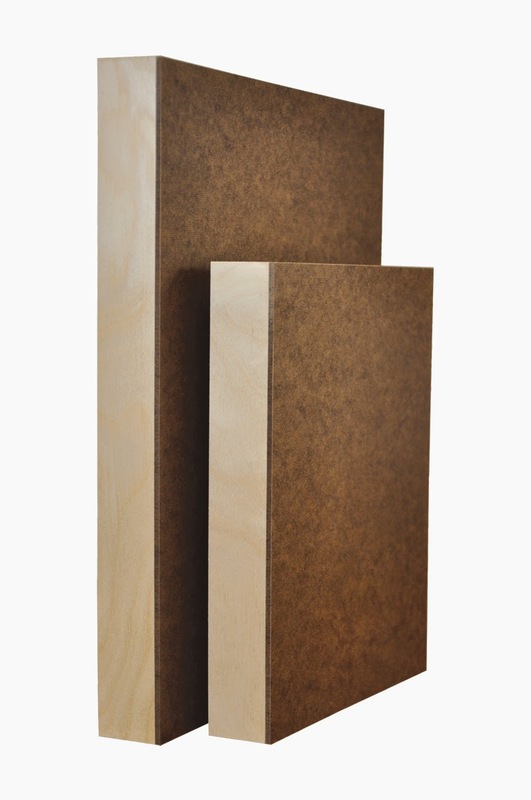 And new 10″ x 10″ sand 16″ x 16″, flat profiles for both Claybord and Gessobord. Seriously great stuff to build up your studio supplies. And now, you can find Aquabord, Pastelbord, Scratchbord and Artist Panels on SALE!! !